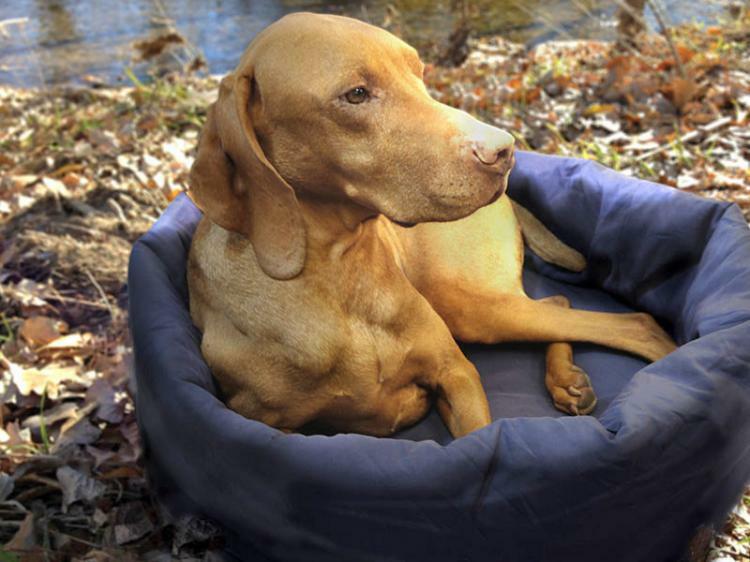 If you're sick of your dog crawling into your already jam packed sleeping bag on those cold bitter nights while camping in October, this dog sleeping bag might be for you... so that you can sleep in this dog sleeping bag while your dog sleeps in yours. 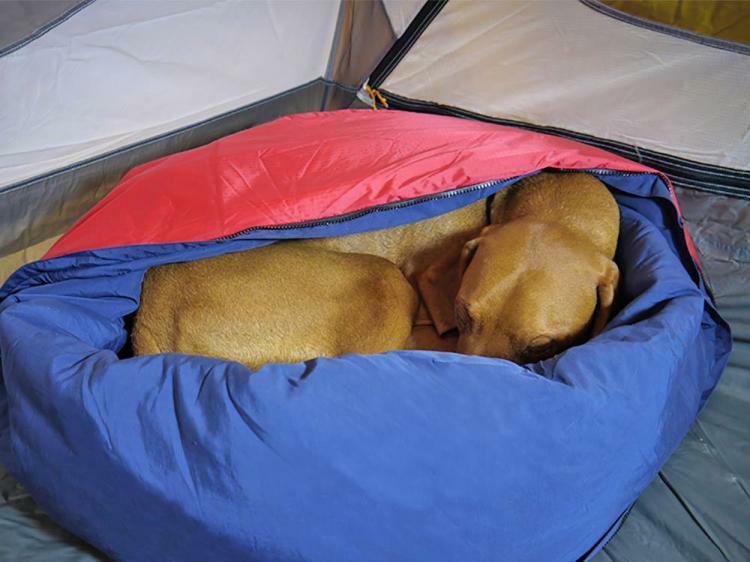 With just enough room for a small adult human to curl up in and barely get the cover over themselves, this dog sleeping bag will allow your true master (your dog) to have all the room they need in their human sleeping bag. 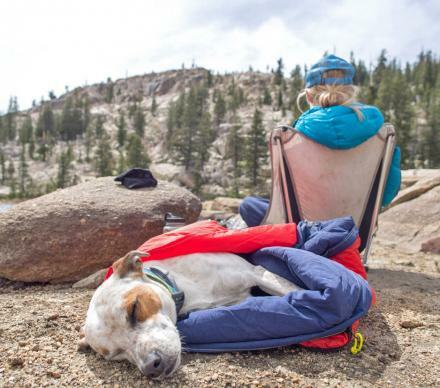 Judging by the way you sleep at night at home, your dog's comfort is your number 1 priority, so why not give them the same amount of comfort while camping by giving them your sleeping bag, and sleeping in their dog sleeping bag. Made by Noblecamper, the dog sleeping bag doubles as a dog bed as the zip-on top to the sleeping bag is removable, so if you find yourself getting warm at night, simply unzip the top and cool down a bit. 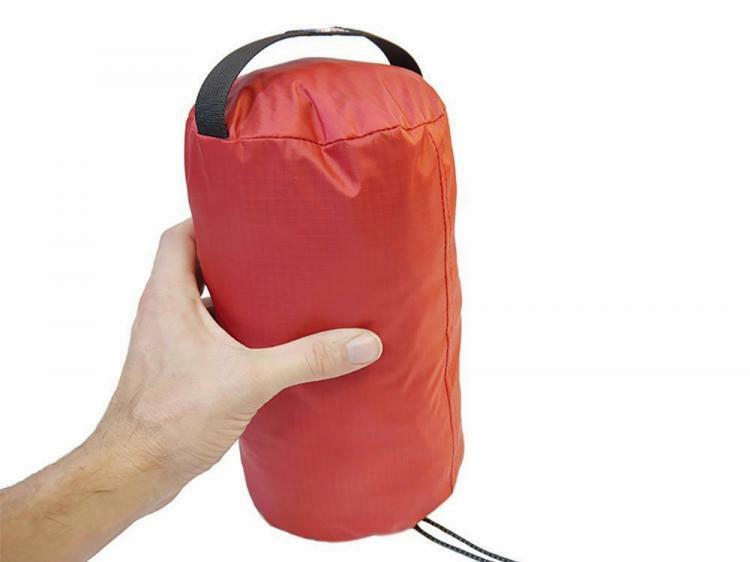 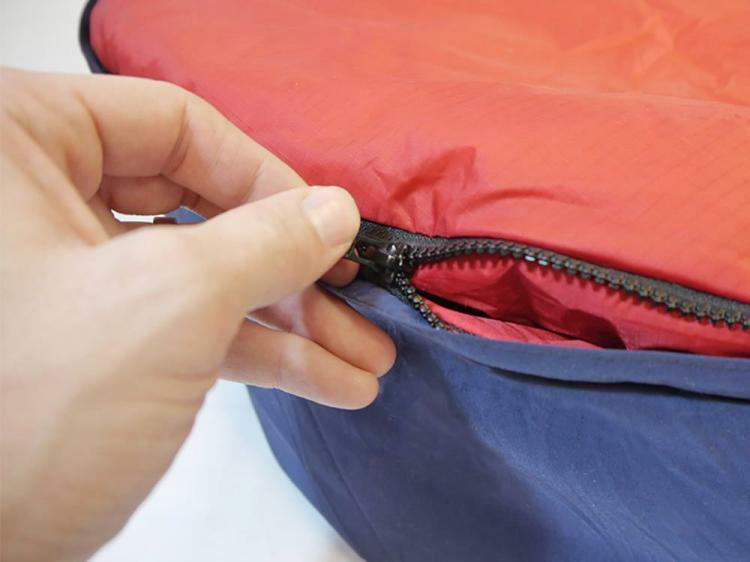 The dog sleeping bag is made using a Poly-fill high-loft insulation that will insulate you from all sides as well as the bottom, has a taslan nylon liner that's breathable and fast-drying, is water-resistant, and extremely durable. 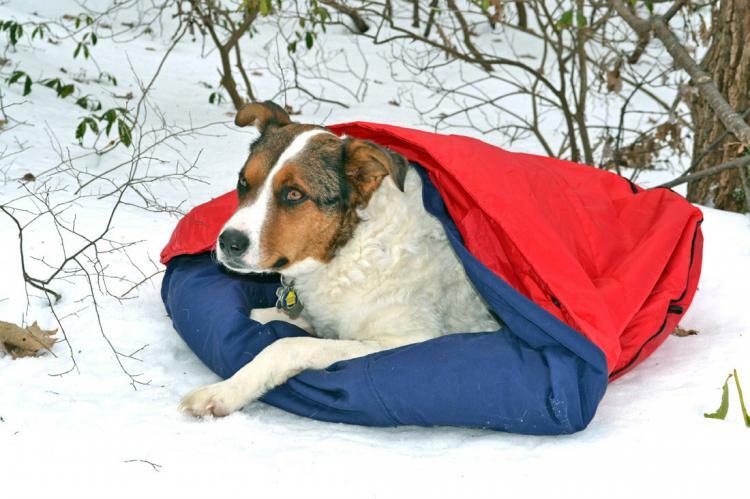 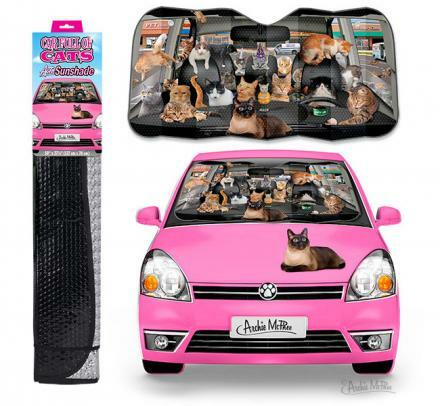 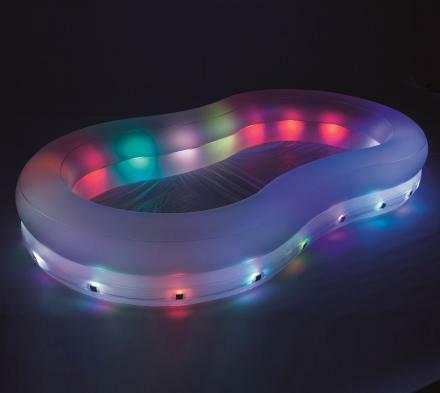 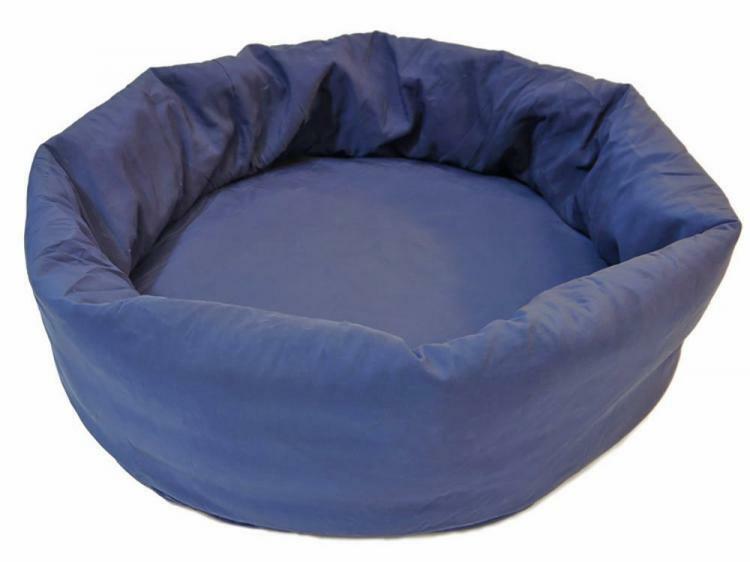 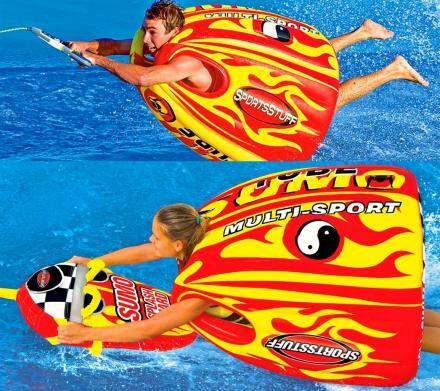 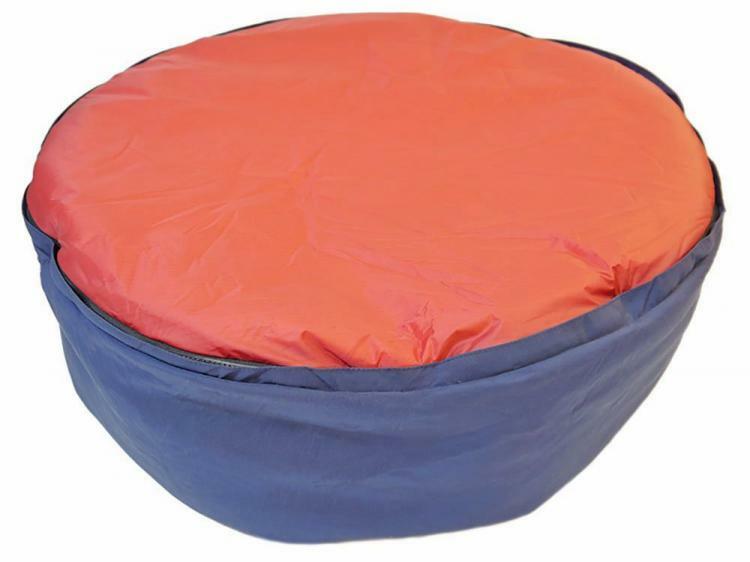 The dog sleeping bag comes in three different sizes depending on what size human will be occupying it, a smaller size that measures 22 inches in diameter, a medium size that measures 26 inches in diameter, and a large size that measures 30 inches in diameter. 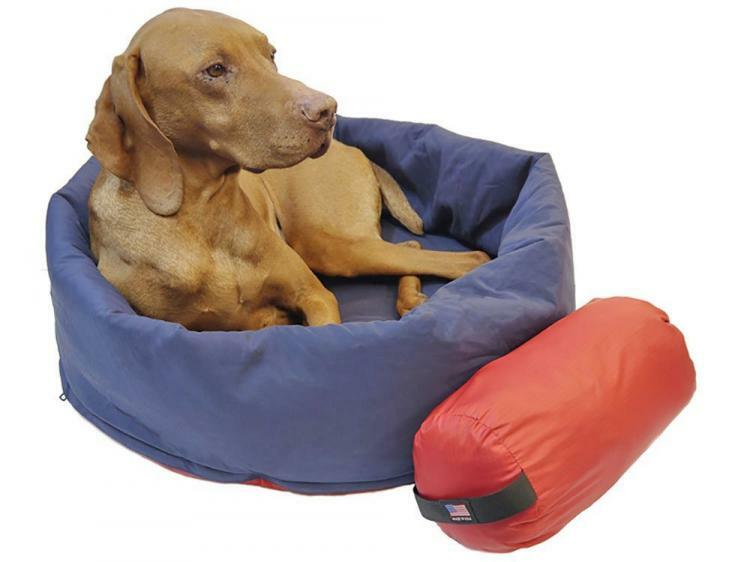 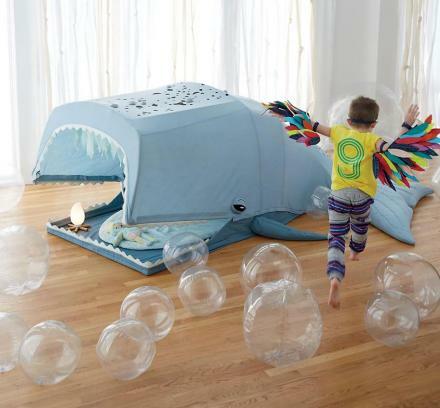 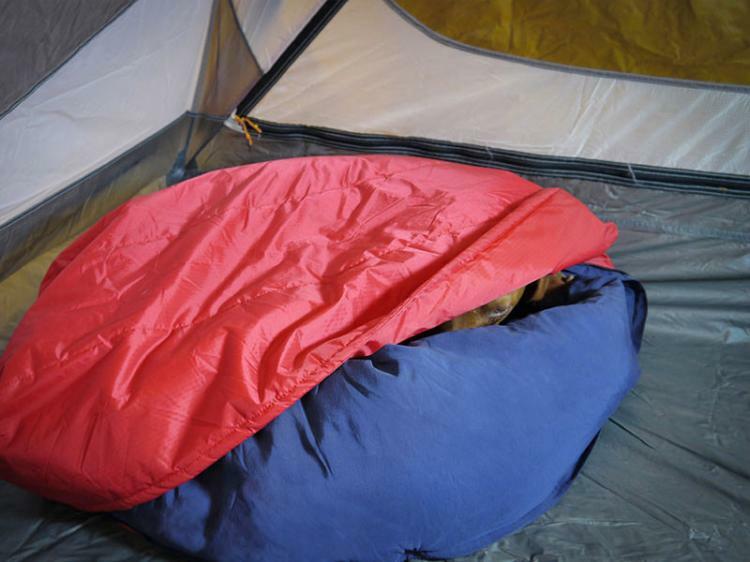 Like any normal sleeping bag, the Noblecamper dog sleeping bag rolls up to be extremely compact and easy to transport. 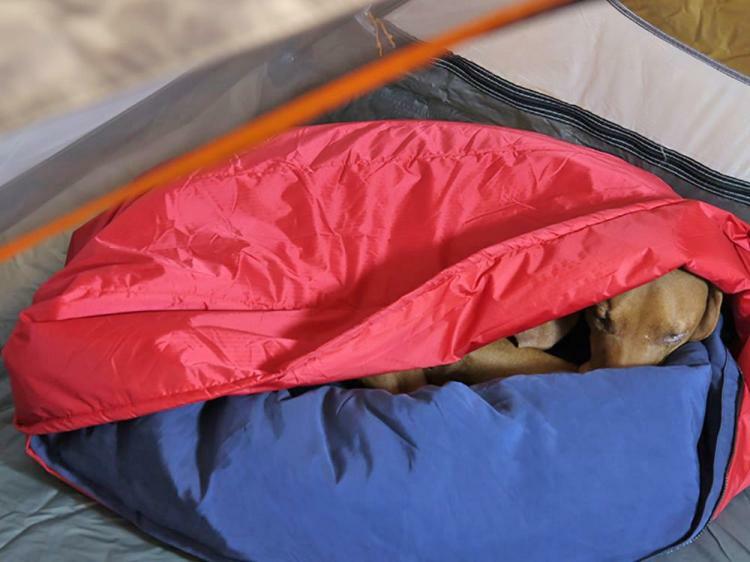 Check out the Noblecamper 2-in-1 dog sleeping bag and bed in action via the video below.